If your style is non traditional, why not indulge your wicked side with our Halloween themed hotpicks! Just the proof you need that you can be slightly spooky and stylish. with these devilishly fun black invitations. 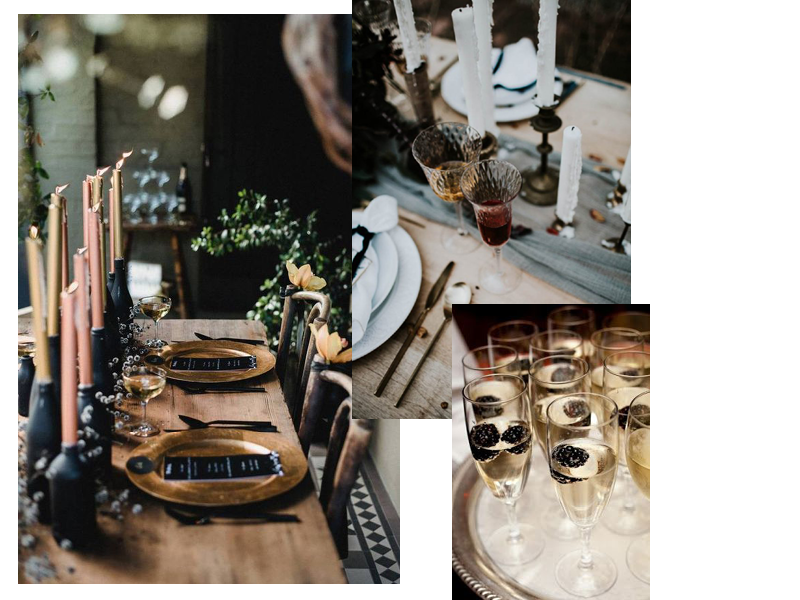 Use mis-matching crystal glasses or paint old glasses matte black to create an eclectic feel to your table setting. 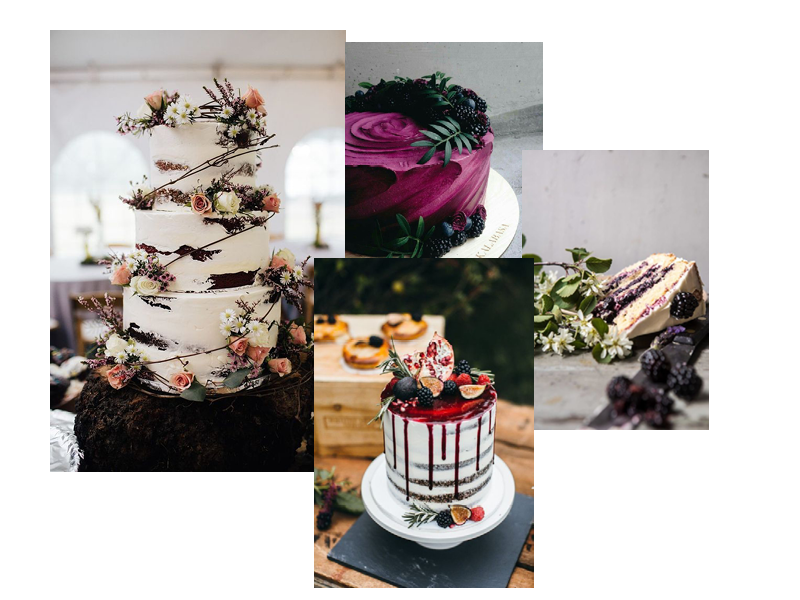 For a cake that tastes as good as it looks, ditch the black food colouring and ask your cake designer to work with natural dyes from seasonal fruits such as fig, blackcurrants and raspberry’s. The use of dark autumnal colours with lots of green foilage makes a mesmerising bouquet. Unusual dress designs created to Wow. Find a photographer who values your unique attributes and personal style…. 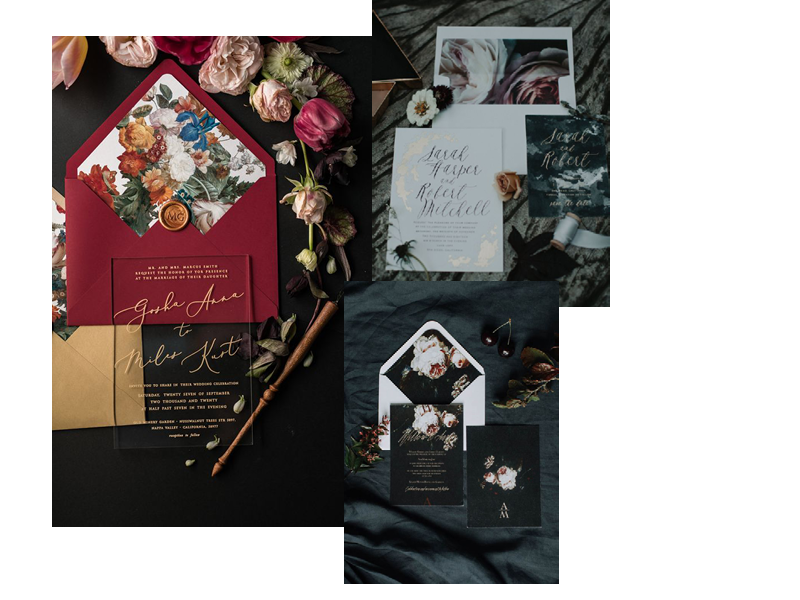 Discover sculpture turned designer Stephanie Brown…..
Take inspiration from the autumn leaves and vamp up your bridal look with tones of red and orange. Not a fan of red lips, try a copper or rose with a gold smokey eye…..